The WindsorEssex Community Foundation wants to hear from you! 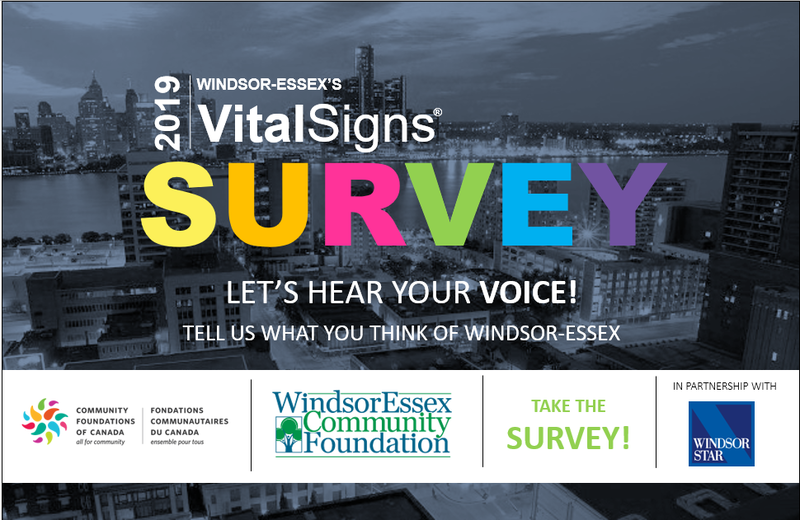 Tell us what you think of Windsor-Essex as a place to live, learn, work, play, and grow by taking the 2019 Vital Signs Survey. Those who complete the survey have a chance to win $100. Vital Signs is an annual check-up that measures the vitality of our community, identifies significant trends, and assigns grades in areas critical to our quality of life.